Print out either a half size or a full size copy of this verse to post in your home and mediate on it this month. Sometimes I wonder, "What should I be teaching my children?" 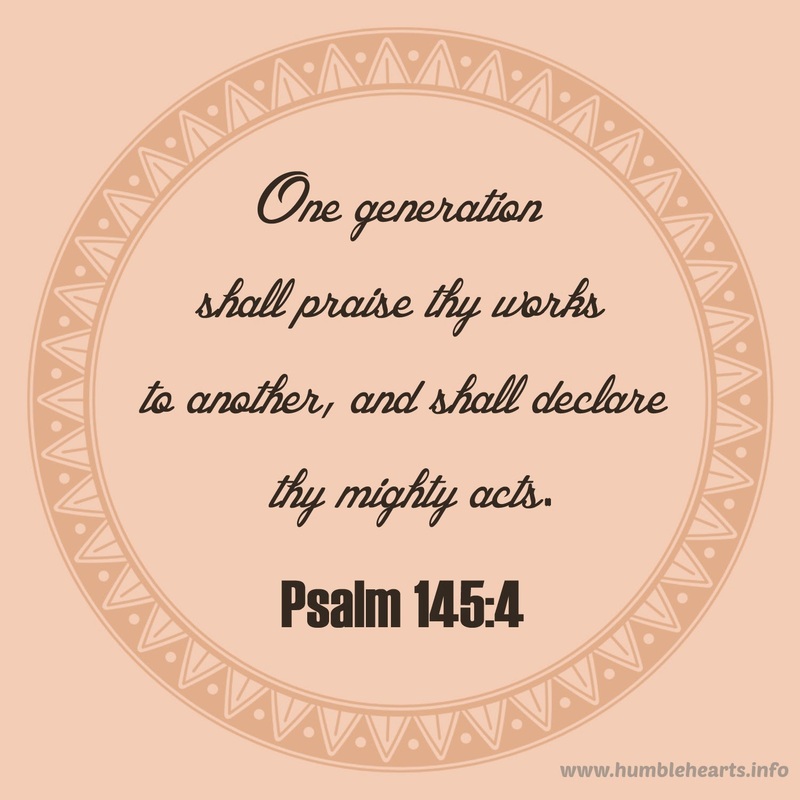 Psalm 145:4 speaks of one generation praising God's work, and declaring God's mighty acts to another generation. This gives me a clear goal: to praise God's works and to declare His mighty acts. When I became aware of this as a parent, I started to observe what other power and might is declared and praised to children. All around us in our culture power and might are attributed to political powers, magical powers, and the power of human ingenuity. Our children hear things like "You can do anything you put your mind to", or "Wow, this is so amazing, it must be magic!" 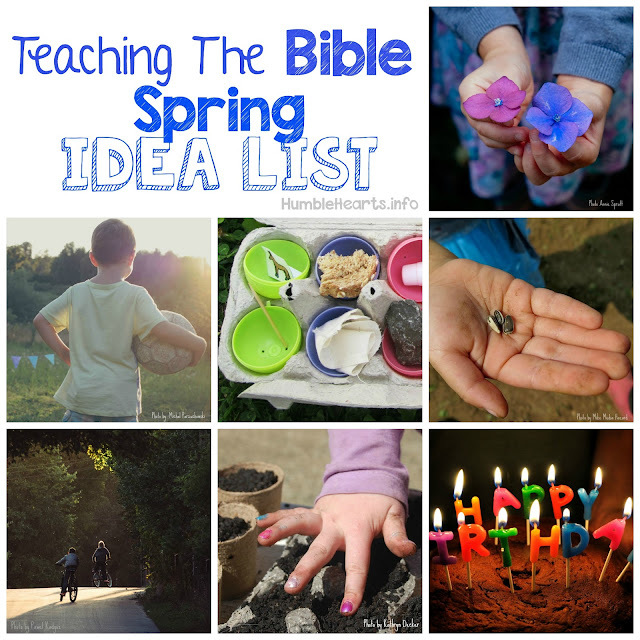 No matter their age we can start to speak of God's might to our children. As a baby looks around and sees a bird we can say "Isn't that bird amazing? God made birds." To declare God's mighty acts to our children, we need to mediate (speak to ourselves) about God's majesty and His wonderful works. As I think about Who God is, and what He has done, I have it in my heart. Then I am ready in daily situations to declare God's mighty acts to my children. And all flesh will bless His holy name forever and ever." As we pray together as a family, then we can watch together for God to answer those prayers. My husband and I endeavor to point out God's power and might to our daughters as God answers our prayers. It is a sweet time to praise God together as a family for His mighty works. I am looking forward to mediating on this verse this next month. I desire to continue to grow in looking at God's power and might and then declaring it to my daughters.